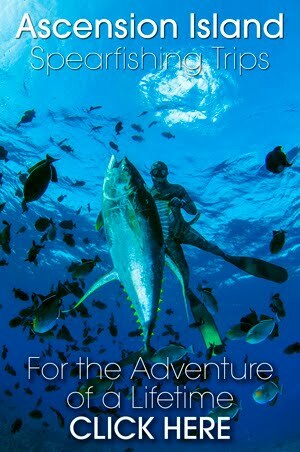 Every once and while you hear some remarkable spearfishing story that becomes an instant legend. Christmas eve was one of those, when Rat rocked up at my house with a Couta .... that he got off Lemon fish Reef. I listened to his story in total disbelief, as he told how the sea just came a live for half an hour. You need to understand that Lemonfish reef is a tiny little rock off one of our local surfing points, it only goes out 50m or so from the point and is not very deep. 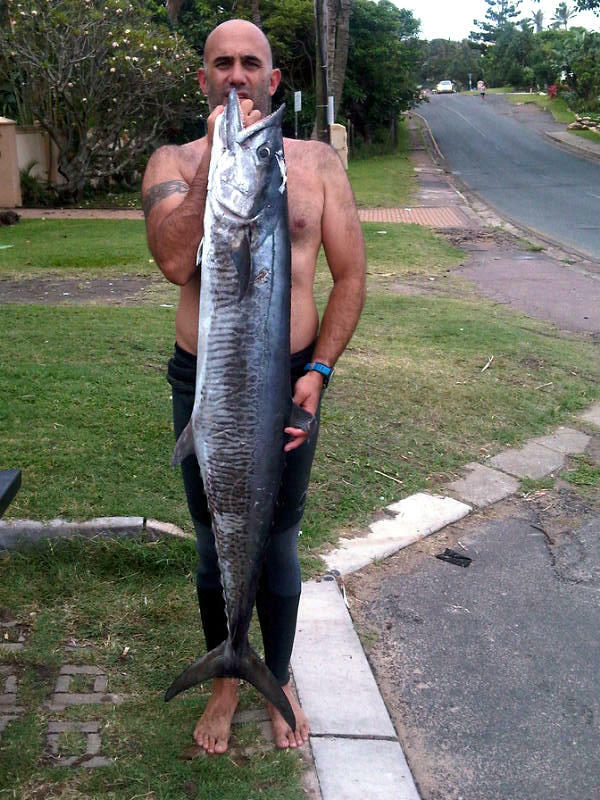 Every diver in the area cuts his teeth here and it is considered a spot you will get the odd Snoek but that's about it. I can remember a good friend and dive buddy that I grew up with telling us about a Couta he had seen off the reef at Lemon Fish. These were the early days and we were still puddle jumping and just to see a Couta was a big thing. That was almost 20 years ago, since then I have dived that reef hundreds of times and never seen a Couta or even had a notion that I might see one there. Anyway Rat said as per his usual day before Christmas thing he takes his family that are visiting to the beach. 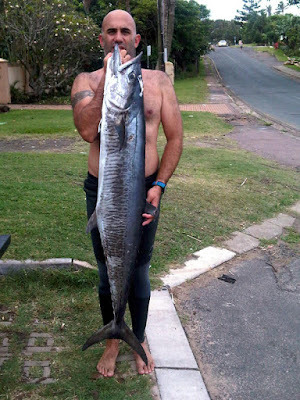 Last year same day same time he swam our for 30min and got 3 Snoek. This year was no exception, the fish were wild. The shoals of Snoek were every where, but he could not get close enough to get one. He swam on to the inside of the reef to the small gap between the reef and the point only to see this big fish just cruzing along. He lined up and made good on his shot. 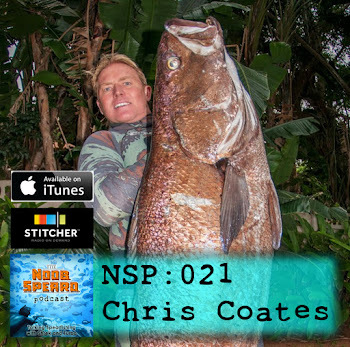 After a long tussle and line every were he landed the fish, and apparently the snoek were shoaling around him the whole time. Dane Salmon co-owner of the Ultimate Spearfishing Magazine recently got back from a spearfishing trip to Tanzania with a crew of guys from Durban. The story has been been published in the latest edition of USM and on the website. You hear these stories about guys getting awesome fish that just make you green with envy. Up our way the tallest of those stories is usually centered around some one 'lucking' a big Daga Salmon. I have had 2 mates that have shot 40kg fish in 2-3m of water puddle jumping off a point. 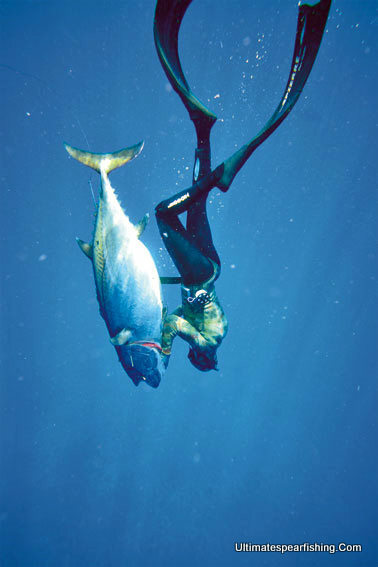 Then there is the 'sleeping' fish story, a guy goes down and finds a fish just lying there. Swims up to it and shoots it, game over! Oh and don't forget the 'beginners luck' story, how many times have hear of some newby shooting an awesome fish? In fact it was only a month ago some chap in a surf suit and plastic fins got a monster salmon off Shieffield on a reef that I have dived a thousand times and never seen one. Call it 'luck' but you cant take it away from the guys they walked up the beach with the fish and you didn't. Then there is the earned fish, the ones you target and do the hard yards to get. Daga off the wrecks is a good example, put it what ever way you like its just not easy diving. ....unless you are Jaco! So where am I going with all this? Daga have just been an elusive fish for me. It took years to even see one. Then some more years to get one. 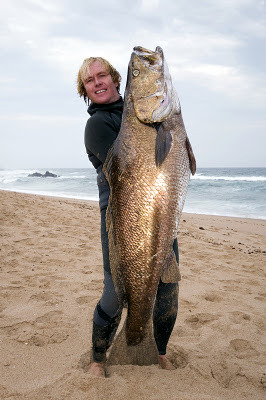 Then even more years to get one over 20kg, and despite doing the hard yards on the wrecks and get a number of good fish. It just seem like I was never going to break the 30kg mark. What makes it worse I dive with guys that sometimes break the 30kg barrier on a weekly basis ...... it just pisses me off! So with all our record rains messing the sea up and being on the back end of Daga season. I kinda had written of this being my season, that was of course until yesterday. Desperate for a dive I got my Mrs to drop me off at one of the local spots that looked like it had some dive-able water in between 2 large patched of yukky river water. When I got there I was kind of committed to go, either that or go pick up kids and go shopping, guess what I chose? The water was not looking great and I grumpily put my gear on and headed off, knowing I was probably going to be 'mulleting' around in 2-3m vis in a futile mission looking for shadows. Anyway after diving the ledge for almost an hour I do a dive right under my buoy that is reefed over the ledge. I hit the bottom and scan around to again see very little. Then out the corner of my eye there is this thing that is not reef next to me. I turn and look, my brain does not even register ..... I swear I though it was a Skate at first. "DAGA" my salt saturated brain finally kicks in, and starts to process at a gazillion terrabites a millisecond. All I can think of as I bring my gun around is when is this going to bolt and wave me good bye, but it just sat there. As I get my gun up and start to aim it sluggishly moves away little, giving me a perfect 45 degree shot above the pec and out the gill plate. So not only did I pop the 30kg mark, I clapped an absolute sitter! I no longer have to go, " why cant I just dive down and plugg one." I have gotten my 'luck' shot ...too stoked. Best of all now I have my own 'camp fire' story to tell.